And here it is—my attempt at a Tolkien-style Tale of Years, in its entirety, for the world of Thedas! 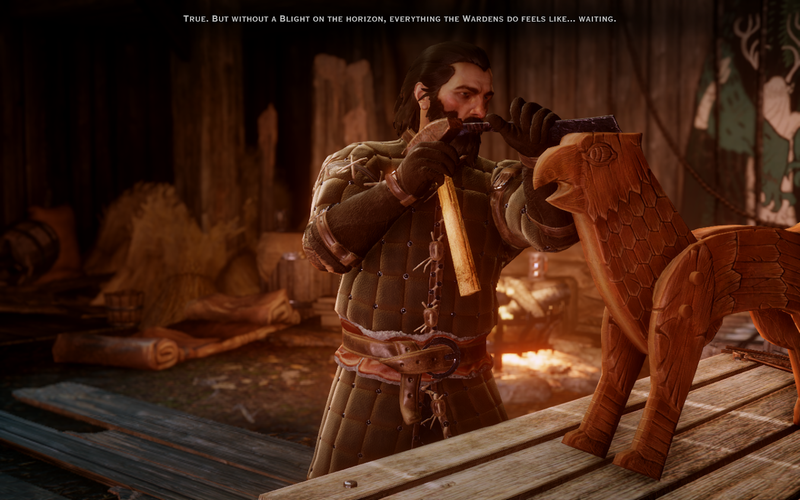 SPOILER WARNING: Pretty much every single thing that happens across Dragon Age. Seriously. Proceed at your peril! Here's my complete attempt at a Tolkien-style "Tale of Years" approach to the Dragon Age Timeline across the ages, from first to last (I ramble more about my inspirations here). What do I have wrong? What can I add, remove or expand upon here? I'll look forward to your recommendations! Please do provide links or citations where you can for changes. Please note that this is the latest and most up-to-date version. I will no longer be updating the individual Age posts. Estimates, Conflicts or potential errors are noted in red text. Here we go—what can you fill in on these gaps? Please comment, tweet or e-mail me your suggestions or insights! -7500-5500 Ancient - Elgar'nan defeats a Titan. ▪ Ghilan'nain is raised to godhood. ▪ Andruil hunts the Void and (possibly) brings back the Blight. ▪ Andruil is defeated by Mythal. ▪ Falon'Din is bloodied and defeated in his own temple. ▪ Mythal defeats a (possibly Tainted/Blighted) Titan and appears to hide access to it beneath the earth. -5500 Ancient - ~(Estimated) Mythal, viewing the Evanuris's lust for power, can no longer broker peace. 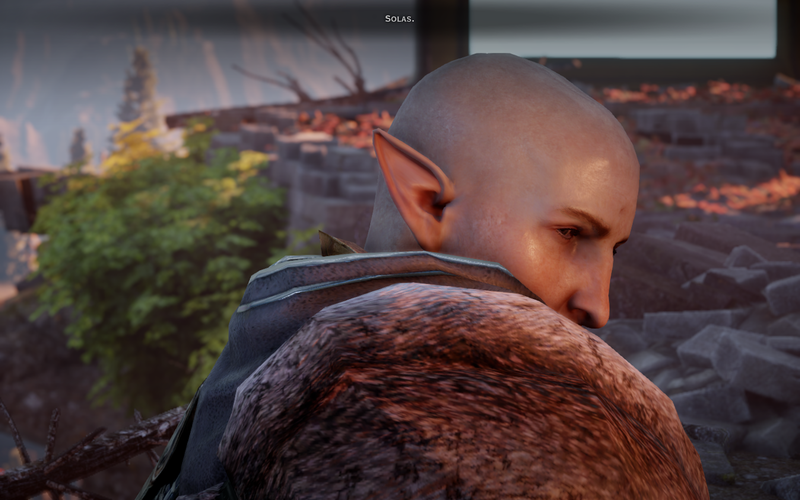 She may call Solas into the physical world to protect her—or this is the point when she simply asks him to serve her against the others. Implied physical appearance or birth of Solas. -3100 Ancient - Murder of Mythal by the Evanuris. ▪ Banishment of Evanuris and Forgotten Ones by Solas. 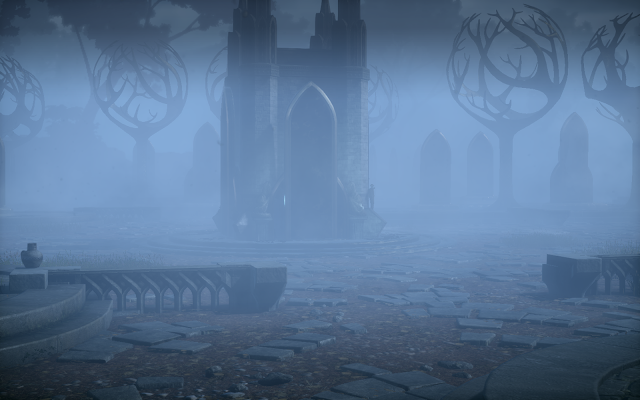 ▪ Skyhold's foundations are damaged, and Solas falls into slumber. ▪ Humans (the Neromenians) appear in Thedas, settling Qarinus, Tevinter, Neromenian, and Barindur (ultimately forming the Tevinter Imperium). ▪ Flight of the surviving elves. 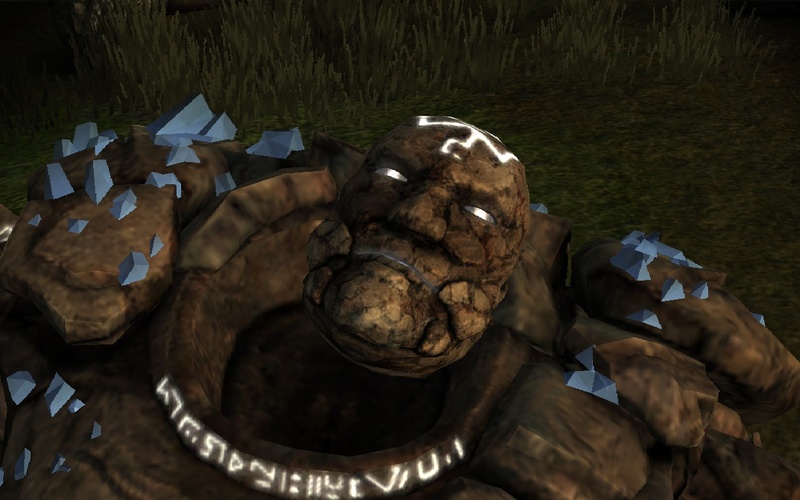 Those who remain are enslaved by Tevinter. -620 Ancient - Establishment of Emerius (eventually to become Kirkwall) by the Imperium as a slave and jet mining settlement. ▪ Archon Parthenius claims the Tevinter throne and the civil war ends. ▪ The First Blight begins. -295 Ancient - ~(Estimated) Birth of Shale. ▪ Birth of Andraste in Denerim to Brona and Elderath. 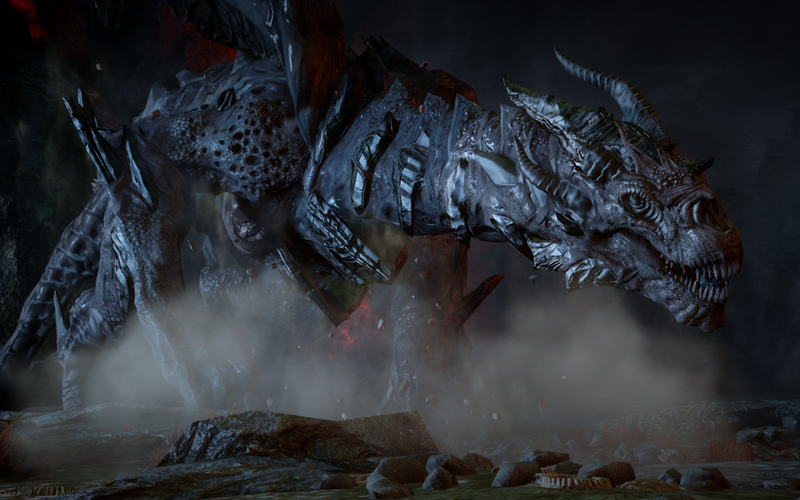 -195-185 Ancient - Darkspawn are fought back to the Deep Roads. 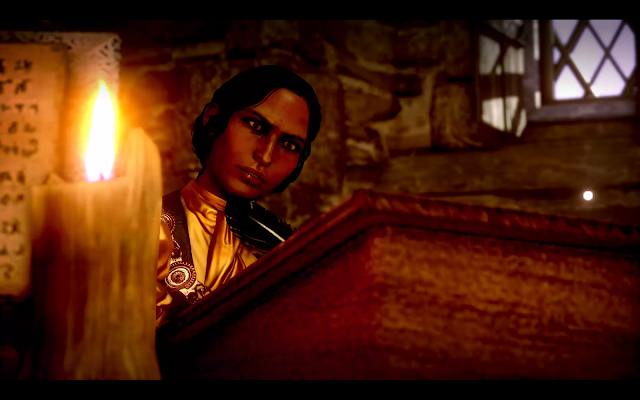 ▪ Maferath negotiates Andraste's freedom from her Tevinter captors and assumes leadership of the Alamarri clans. ▪ Andraste begins to preach of the Maker. 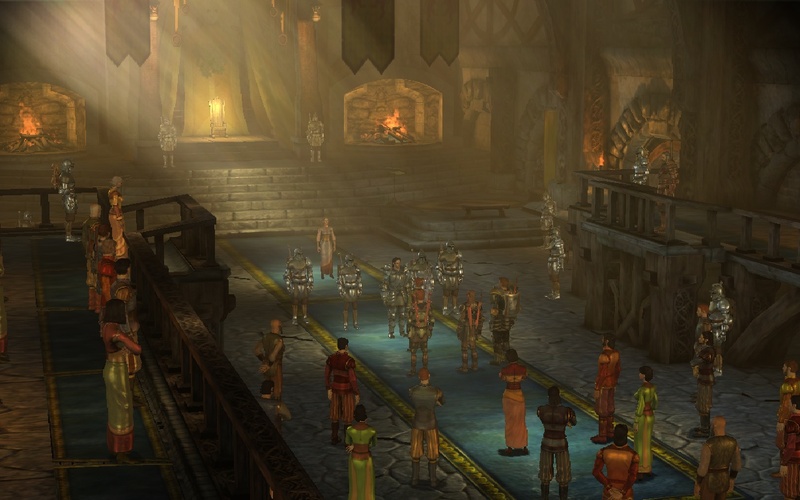 Maferath uses her preaching to unite and further lead the Alamarri clans. -180 Ancient - Maferath and Andraste lead a horde of barbarians across the Waking Sea in an assault upon Tevinter, inciting slave revolts as they pass. Southern Tevinter begins to collapse. ▪ Tevinter abandons Estwatch, which remains uninhabited for several ages. ▪ After the battle, Andraste names Shartan her Champion and gives him her mother Brona's sword, which he renames Glandivalis. ▪ Shartan converts to Andraste and the religion of the Maker. ▪ Maferath secretly makes a pact with Archon Hessarian. ▪ Andraste is set on a pyre before the gates of Minrathous. ▪ Shartan and a hundred elves charge the pyre in an attempt to free Andraste, but are killed in the attempt. ▪ Havard, childhood friend of Maferath, is mortally wounded then healed by the ashes of Andraste, which he takes away with him back to Ferelden for safekeeping. -165 Ancient - Maferath is given most of Southern Thedas to rule, taking Ferelden for himself, and dividing Orlais, Nevarra and the Free Marches between his sons. ▪ Isorath is given the rule of Western Tevinter (later Orlais). ▪ Evrion is given the East (The Free Marches). ▪ Verald is given the central Planasene (Nevarra). ▪ Maferath grants the elves a new homeland in the Dales. ▪ Maferath and his court are abandoned then slain in retribution, sparking chaos in Southern Thedas. ▪ Hessarian converts the Old God temples into the first Circles of Magi. ▪ ~(Estimated) Verald's court in Nevarra is slain upon the revelations about Maferath and he flees to Orlais. ▪ Verald struggles for power with Isorath then conspires with Jeshavis, the wife of Isorath, to murder his brother. Death of Isorath and all of his children. ▪ Marriage of Verald to Jeshavis. ▪ ~(Estimated) Birth of Alli Vemar to Ebris, daughter of Andraste. ▪ ~(Estimated) death of Verald at the hands of Jeshavis. Jeshavis becomes the first Ciriane leader of Orlais. ▪ ~(Estimated) death of Alli Vemar, granddaughter of Andraste. She dies married but childless, in an accident while voyaging to Denerim. ▪ Disappearance of Andraste's ashes (which have been secretly relocated to the Temple of Sacred Ashes in Haven). ▪ Hessarian dies in his sleep. ▪ Leaders in Eastern and Southern Tevinter argue for secession out of fears that Hessarian's successor Orentius will restore the religion of the Old Gods. 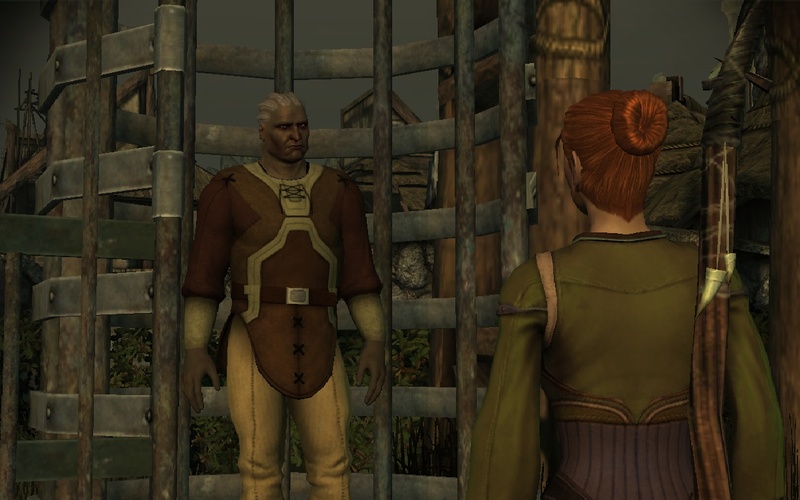 ▪ The Chantry declares that the use of magic is illegal throughout Orlais unless by mages on the Chantry's behalf. ▪ Emperor Drakon calls on mages to use their magic against the Blight, and their powers turn the tide of battle. ▪ The Tevinter Imperium abandons the Anderfels to the Blight, a decision the Anders people never forget. ▪ Formation of the Seekers of Truth by senior members of the Inquisition. ▪ Formation in Ferelden of The Circle of Magi and The Templar Order as its overseers. The first Circle is led by Grand Enchanter Lothaire Hardouin. ▪ Ameridan traps Hakkon in dragon-form and goes into stasis. ▪ Elves of the Dales continue to refrain from action against Blights. ▪ The teachings of Andraste and the Chantry come to Antiva, where they quickly become popular. ▪ Astyth the Grey becomes the first female Paragon of the Warrior caste after sacrificing her life for the King. Formation of the Silent Sisters order in her honor. ▪ Archon Vespasian is assassinated. 3:00 Towers - ~(Estimated) Flemeth is born in Highever. ▪ Darkspawn attack Marnas Pell and Vyrantium, as well as Arlesans and Montsimmard. Grey Wardens manage to fight off the attacks. ▪ Afterward, Orlais takes the city of Nevarra, and Tevinter takes Hunter Fell. ▪ In Ferelden, the local Circle of Magi moves to Kinloch Hold after the razing of their original mage tower in Denerim. ▪ The Black Age is named as the Chantry calls for retribution against the "false Divine." 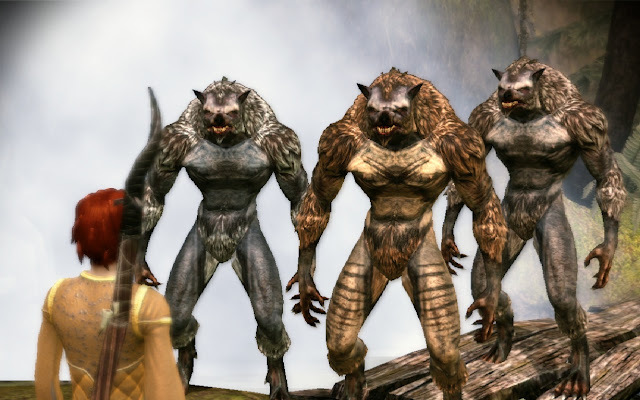 4:00 Black - Werewolves reappear in Ferelden. 4:20 Black - Herbalists rediscover elfroot and its healing properties. 4:22 Black - King Guiomar the Younger of Antiva dies at the hands of Callisti di Bastion, of the Antivan Crows. 4:30 Black - Queen Asha Subira Bahadur is born in Rivain. 4:40-5:10 Black - Exalted Marches are declared by the Chantry, continuing through 5:10 Exalted. 4:45 Black - The elf Alidda of Halamshiral is arrested for slaying twelve chevaliers. She escapes and kills twenty more, before cutting her own throat to avoid capture. 4:46 Black - Divine Clemence I commissions Tevinter fugitive (and former magister) Adralla of Vyrantium to write the Litany of Adralla in order to protect against blood mages and demonic possession. 4:50 Black - ~(Estimated) marriage of King Dario Campana to Asha Subira Bahadur, Gana of Ayesleigh. 4:52 Black - The Great Riot of Val Royeaux takes place. 4:80–84 Black - The Orlesian Empire crosses the Frostbacks and attempts invasion of Ferelden for the first time. 4:83 Black - The Teyrns of Ferelden unite to push back Orlais. Orlais attempts to take Highever, but its siege is repelled successfully by the port. 4:85 Black - The minstrel Uccam records the saga of Dane and the Werewolf. 4:85-4:90 Black - ~(Estimated) Birth of Isseya. Birth of Garahel. ▪ Chateau Haine is built in the Western Vimmark Mountains by Lord Norbert de la Haine. 4:97 Black - Divine Rosamund is born. 4:99 Black - Divine Justinia II names the Exalted age. 5:10 Exalted - Orlais marches in the last Exalted March on the Tevinter Imperium but then ultimately retreats. ▪ Calenhad the Great is born to a Highever merchant. ▪ The Grey Wardens sign treaties with Alamarri teyrns and build a fortress in Denerim, along with several other outposts. ▪ Isseya leaves the mage Circle to join her brother with the Grey Wardens. 5:11 Exalted - ~(Estimated) Isseya and Garahel survive the Joining and join the Grey Wardens. 5:12 Exalted - Andoral awakens, and the Fourth Blight begins. ▪ Garahel meets and bonds with his griffon Crookytail. 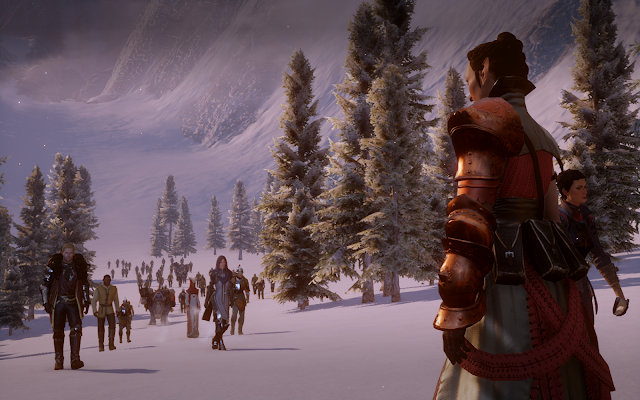 ▪ Darkspawn overrun Antiva, and the soldiers evacuate Antiva City. The royal family refuses to depart, and the Antivan Royal Guard rebels and kills King Elaudio before the Grey Wardens stop them. ▪ The Wardens evacuate the surviving royals and court members using griffons, but on the retreat, the Archdemon attacks, and pretty much all of the royals are killed, as well as most of the Wardens. ▪ Isseya, her griffon Revas, Garahel, his griffon Crookytail, and a small number of Grey Wardens survive, including the mage Calien. Amadis Vael, Princess-Captain of the Ruby Drakes Mercenary company, survives the trip. ▪ Using enchanted Aravels drawn by griffons (thanks to a brainstorm by Isseya), the Grey Wardens are able to evacuate many civilians from Wycome to Starkhaven. ▪ Darkspawn pour into the Free Marches and Rivain. ▪ The Blight rises in the Anderfels, and Hossberg comes under siege. ▪ Orlais and Tevinter successfully drive back the darkspawn attacking their cities. ▪ Tevinter refuses to send any aid to the Free Marches or the Anderfels, while Orlais sends only a token force. 5:16 Exalted - Divine Hortensia II dies. Divine Rosamund is elected. 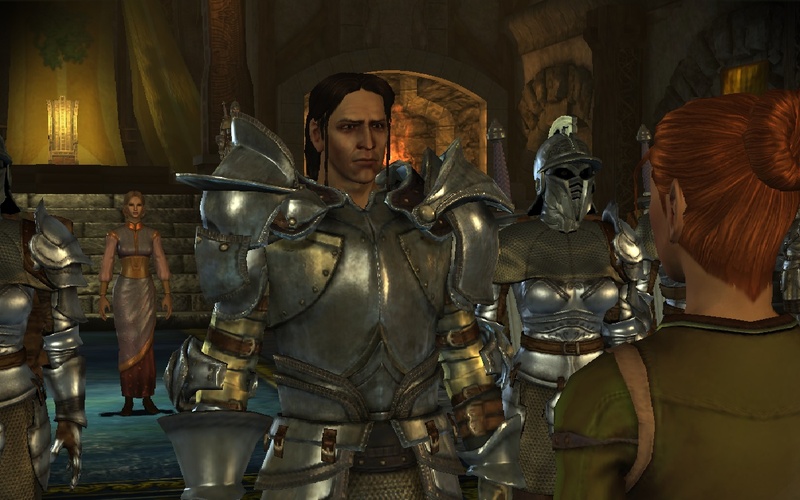 5:20 Exalted - Garahel leads an army of Wardens and Anders to successfully break the siege of Hossberg. ▪ Kirkwall declares the common nug to be vermin and a possible carrier of the Blight, causing mass exterminations of the creatures that came to be known as the Battle of Squealing Plains. 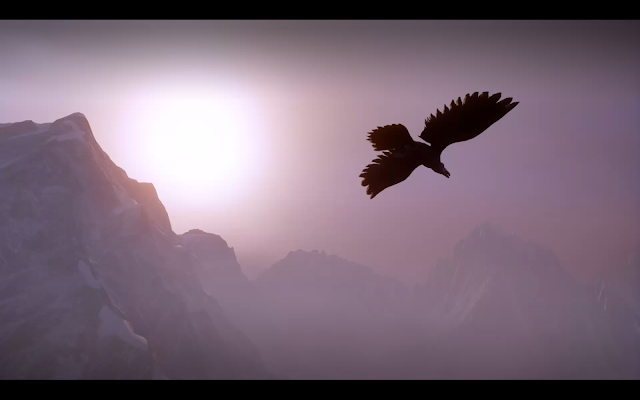 ▪ Attempting to save the darkspawn-infected griffon Shrike, Isseya discovers a way to put griffons through the Joining. 5:21 Exalted - Darkspawn destroy most of the Free Marches. Chateau Haine becomes Fortress Haine, a Grey Warden garrison commanded by Isseya. ▪ The refuge known as The Retreat is carved into the mountain at Fortress Haine, eventually housing hundreds of refugees. ▪ Garahel orders Isseya to put the griffons at Fortress Haine through the Joining, and Isseya does so under protest, save only for a few remaining griffons including Revas. ▪ Thanks to the griffons and Grey Wardens, Kirkwall is successfully evacuated. 5:22 Exalted - Garahel assembles Wardens from Orlais and the Anderfels and marches to Starkhaven, where he organizes an alliance between the leaders of the Free Marches. They march north as a united army under the Grey Warden banner. 5:24 Exalted - Isseya's corruption from the Taint progresses visibly. She puts most of the remaining griffons through the modified Joining. ▪ Battle of the city of Ayesleigh. Garahel kills the archdemon Andoral and perishes, along with Crookytail. ▪ Lambert Valmont, a young Orlesian captain, is declared a hero by King Azar Adalberto Campana of Antiva. Lambert weds one of Azar's daughters and the Valmont family is elevated to the nobility. ▪ Upon returning home, the Orlesian emperor is forced to match Azar's honors by granting Lambert a Marquisate. ▪ Darkspawn continue to plague the Deep Roads and to attack Orzammar. 5:25 Exalted - Isseya is called back to Weisshaupt Fortress at news of an illness among the griffons, and she realizes that her modified Joining has infected and doomed all of the griffons, even those not put through the ritual. ▪ Isseya goes to Amadis Vael, who gives her the world's only remaining clutch of griffon eggs. ▪ Isseya uses blood magic to take the darkspawn taint from the eggs and into herself, then conceals the eggs in a state of magical suspended animation in a cave in the Anderfels. She then leaves clues in records at Weisshaupt and hides her journal for a future mage to uncover. ▪ Isseya flies Revas one last time, then both perish in her Calling. 5:33 Exalted - Calenhad Theirin defeats Teyrn Simeon in the Battle of the White Valley and is named Teyrn of Denerim. 5:37 Exalted - Tylus Van Markham, the first king of the Nevarran Van Markham family, kills the ruling Pentaghast and is crowned King, winning several major battles against Orlais. 5:38 Exalted - King Tylus Van Markham turns the western Free Marches against the growing power of Orlais. He wins several major border wars against the Orlesians, expanding Nevarra into a nation. 5:42 Exalted - With the crowning of King Calenhad in Denerim, the warring factions of Alamarri are at last united under a single banner to form the country of Ferelden. 5:71 Exalted - Divine Rosamund dies after fifty-five years in power. Divine Amara III is elected. 5:99 Exalted - Queen Madrigal of Antiva is assassinated. Divine Theodosia I receives news of Queen Madrigal's assassination by four blades and declares the Steel Age. 6:15 Steel - Dragons are hunted to near-extinction, most famously by the Pentaghast family of Nevarra. 6:18 Steel - Fionne Theirin becomes the new Queen of Ferelden. 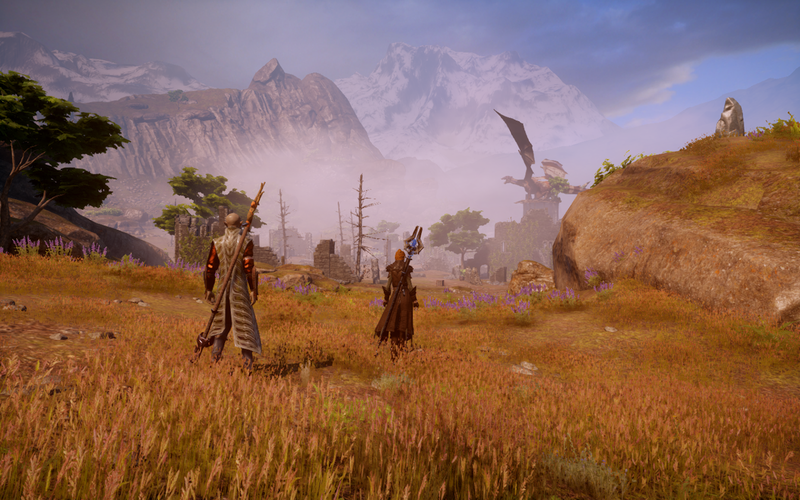 6:30 Steel - The Qunari land in Par Vollen, conquering it from Tevinter. 6:32 Steel - Beginning of the Qunari Wars in Seheron and along the coast of Rivain. 6:35 Steel - The Qunari conquer the Antivan city of Treviso. 6:42 Steel - The Qunari continue to conquer much of Tevinter, Rivain, and Antiva and begin to assault the Free Marches. They attack but do not take Minrathous. 6:50 Steel - Under warlord Balak, the Avvar sweep into the heart of the Ferelden Valley in massive numbers. The Bannorn is put to the torch. 6:52 Steel - The Avvar are pushed out of Ferelden, leading to a terrible famine in Ferelden, and to hostile relations between the Avvar and Ferelden for ages. 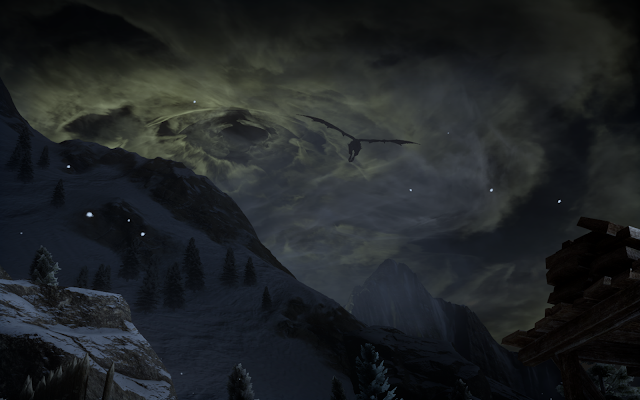 6:85 Steel - Tevinter begins to successfully beat back the Qunari. 6:90 Steel - The Qunari besiege the city of Seleny. The appearance of a dragon, rumored to be called by Yavana, the Witch of the Wilds, forces them to retreat. 6:99 Steel - Divine Hortensia III names the next age the Storm Age, foreseeing a growing storm of violence across Thedas. 7:05 Storm - Sophia Dryden loses the Fereldan throne to her cousin Arland Theirin, joins the Grey Wardens and rises to the rank of Warden-Commander in Ferelden. ▪ Arland is a brutal leader, and Banns approach Sophia to intercede, and she attempts a coup against her cousin using the Grey Wardens. ▪ At the Battle of Soldier's Peak, Arland defeats Sophia, who is killed. ▪ The Grey Wardens are expelled from Ferelden and Soldier's Peak is abandoned. 7:23 Storm - The Qunari are pushed back to Seheron and Rivain. ▪ The Battle of the Nocen Sea takes place as the largest naval engagement in history and despite ending in stalemate results in the destruction of many ships on both sides. 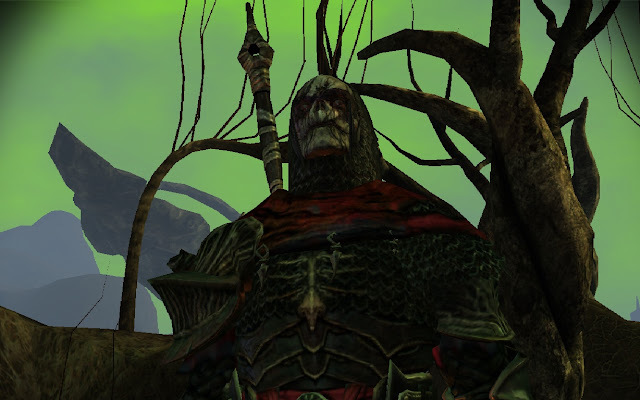 7:25–85 Storm - The Exalted Marches on the Qunari are declared by both the Imperial Chantry (to retake Seheron and Qarinus) and by the Andrastian Chantry (in a pledge to retake Rivain). ▪ During the Exalted Marches, Orlais manages to steal the Tome of Koslun from the Qunari. 7:28 Storm - A dragon cult following High Dragon Urzara devastates the northern Free Marches until the dragon is slain by a militia group. 7:34 Storm - Archon Nomaran is elected directly from the ranks of enchanters in Tevinter, overturning the old rules forbidding mages from taking part in Tevinter politics. ▪ Hessarian's tale of his own conversion is translated. 7:44 Storm - Freyan, the newly crowned emperor of the Orlesian Empire, allows women to become knights after witnessing the death of Ser Aveline, the Knight of Orlais. 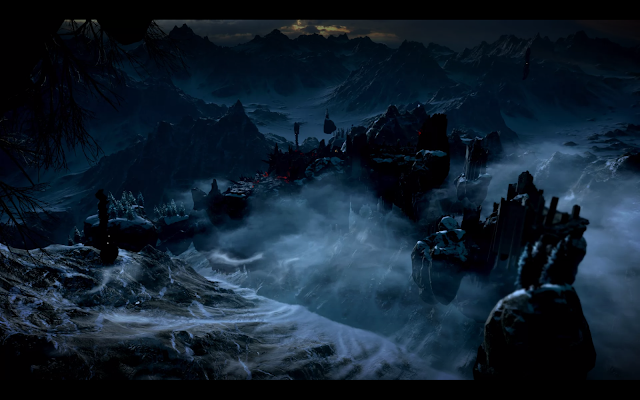 7:52 Storm - The second New Exalted March ends in disaster, as the Qunari capture much of Antiva. 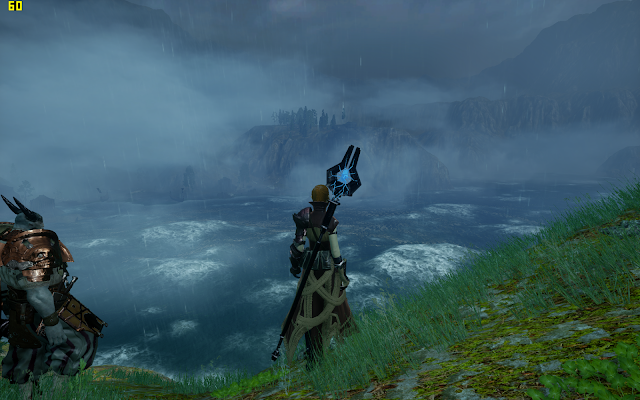 7:54 Storm - The Qunari land in Estwatch and use it as a launching point for fleets of dreadnoughts. 7:55 Storm - Raiders from Llomerryn unite under the banner of the Felicisima Armada and help to turn the tide against the Qunari at sea. ▪ A third and final Exalted March on the Qunari is called. 7:56 Storm - The Qunari even in retreat gain a foothold in the Free Marches by landing near Ostwick and launching assaults against Starkhaven and Kirkwall. ▪ Starkhaven rallies but Kirkwall falls, and is then occupied until the end of the Third New Exalted March. 7:60 Storm - Kirkwall is liberated by Orlesian chevalier Ser Michel Lafaille, who becomes the city's first Viscount. The Kirkwall City Guard is founded. 7:75 Storm - The Battle of Afsaana takes place between Orlais and the Qunari. 7:78 Storm - The Felicisima Armada takes Estwatch following a massive naval battle with the Qunari. 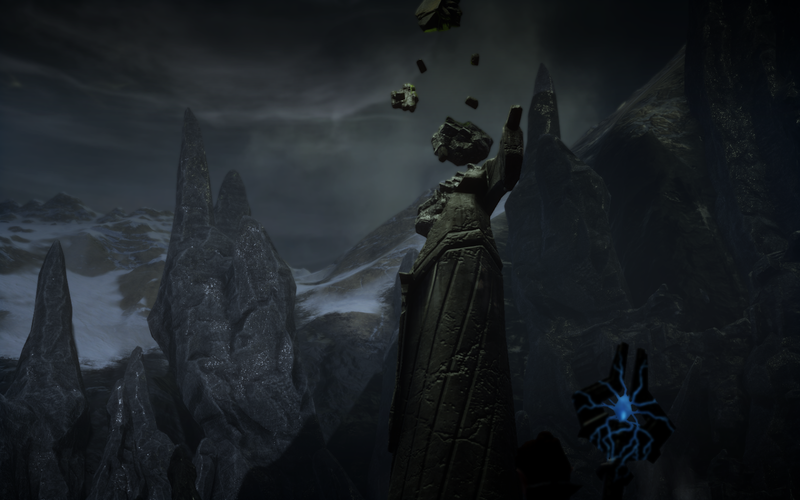 7:84 Storm - By the end of the Third New Exalted March, much of Northern Thedas has been laid waste by the Qunari, but efforts to rebuild become a priority. ▪ The Qunari relinquish Seheron to the Imperium and have only one stronghold left on the continent: the city of Kont-aar. ▪ A meeting between human envoys and the Qunari at Llomerryn results in the signing of the Llomerryn Peace Accords. The Qunari pull back to Par Vollen. 7:88 Storm - The Chantry names Calenhad Theirin one of the Anointed. 7:90 Storm - Ceridweth of the Spiral Eye, one of the more popular apostates of The Gallows, is made Tranquil. 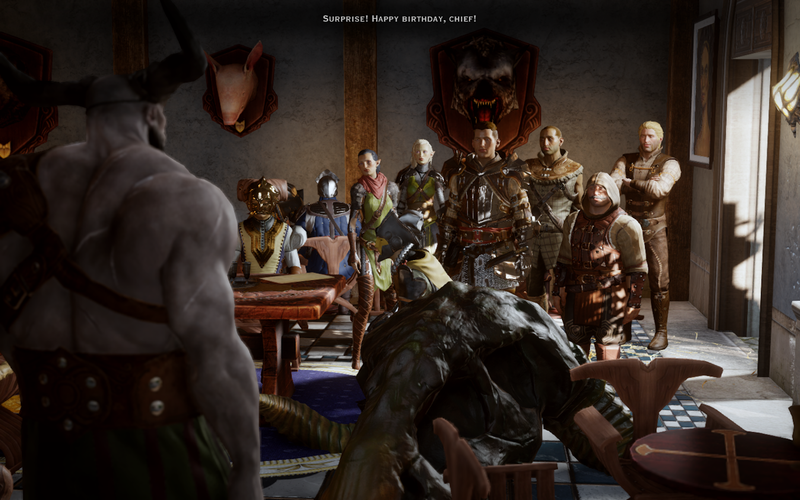 7:99 Storm - The end of Orlais's war with the Qunari. This, and the birth of twin boys to Emperor Etienne I, ushers in the Blessed Age. 9:01 Dragon - ~(Estimated) Birth of Isabela (as Naishe), to Madam Hari, in Rivain. 9:05 Dragon - Birth of Fenris (as Leto). ▪ As the third child in her clan with magic, Merrill is traded during the Arlathvenn to Marethari of the Sabrae clan as Sabrae's future First. 9:20 Dragon - Isabela is sold into marriage with Luis. 9:21 Dragon - Isabela meets Zevran Aranai and begins an affair with him. After almost a year, Zevran Aranai kills Luis (a week after Luis had attempted to set up his own assassination of Isabela). Isabela commandeers The Siren's Call and goes to sea. ▪ Loss of Tamlen of Clan Sabrae in the Old Elven ruins, despite the efforts of Merrill and Keeper Marethari. Merrill and Marethari meet the imprisoned demon Audacity in a cave above Sundermount. Merrill returns alone, and the demon offers her knowledge on how to repair the eluvian. ▪ Potential death of Zevran Aranai in a failed attempt to assassinate the Hero of Ferelden at the order of Loghain Mac Tir (later revealed to be a deliberate attempt at suicide by Zevran). 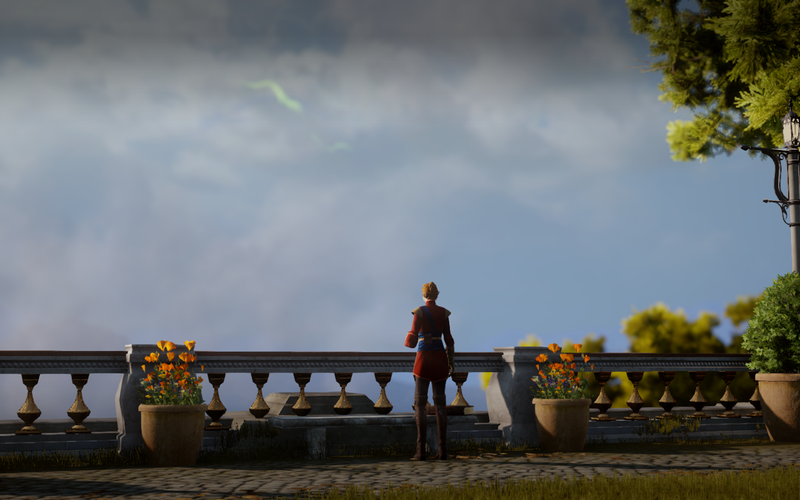 Potential deaths of Wynne and Leliana at the Temple of Sacred Ashes at the hands of the Warden. Potential destruction of Shale in the Deep Roads. Potential death of Oghren at the hands of the Warden. ▪ ~(Estimated) Sigrun joins the Carta. ▪ ~(Estimated) Samson is kicked out of the Templar Order by Knight-Commander Meredith for his addiction to lyrium, and for aiding mage Maddox in conveying his letters to his lover. Maddox is made Tranquil. Samson becomes a homeless beggar on the streets of Kirkwall. ▪ Six months after the defeat of Urthemiel, on the seventeenth of Ferventis, the Hero of Ferelden, now a Warden-Commander (or, if the Warden perished, an Orlesian Warden-Commander), rebuilds the Grey Wardens and establishes Vigil's Keep. 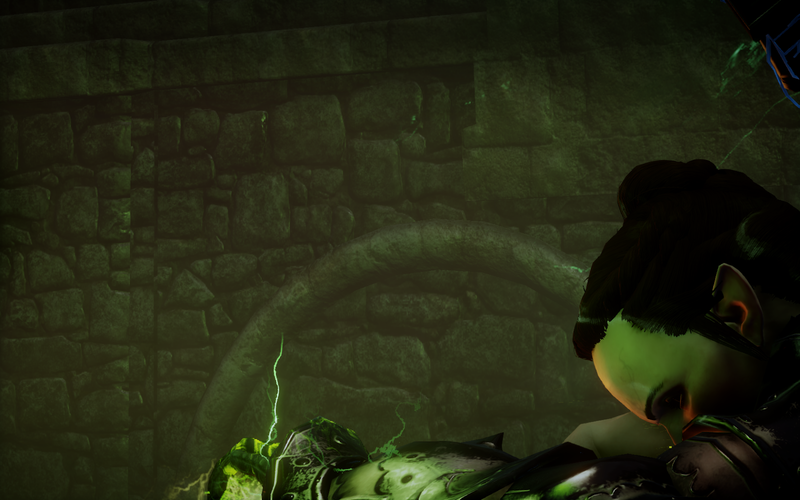 Rumors appear of sentient darkspawn. ▪ Nathaniel Howe travels to Vigil's Keep. ▪ The Architect lays his plans in the Deep Roads. ▪ Death of Mhairi in the Joining ritual. ▪ Justice possesses the dead body of Kristoff, and is trapped by The First. ▪ The Legion of the Dead battalion, including Sigrun, is sent to investigate Kal'Hirol. It is almost entirely decimated by darkspawn. Death of Varran Vollney. ▪ Captured once again by Templars under sentence of death, Anders undergoes the Joining and becomes a Grey Warden. ▪ Nathaniel Howe undergoes the Joining Ritual and becomes a Grey Warden. ▪ Oghren undergoes the Joining Ritual and becomes a Grey Warden. ▪ Sigrun may go to her Calling, or she undergoes the Joining and joins the Grey Wardens and the Warden-Commander's Companions. ▪ Anders rescues Ser Pounce-a-lot. ▪ The Warden-Commander frees Justice, defeats the First, and may bring him onto the team as a Companion. ▪ Defeat of The Mother by the Warden-Commander and companions. ▪ Potential death of the Architect. Or his life is spared. ▪ Potential destruction of Vigil's Keep. Potential destruction of Amaranthine. ▪ Potential deaths of Sigrun, Anders, Oghren, Velanna, and Nathaniel in the final battles. Alternatively, Sigrun may either live for decades, or go to the Deep Roads to die on her Calling. ▪ If he survives the events of Vigil's Keep, Anders returns to service with the Grey Wardens, and is assigned a Templar partner, Rolan. 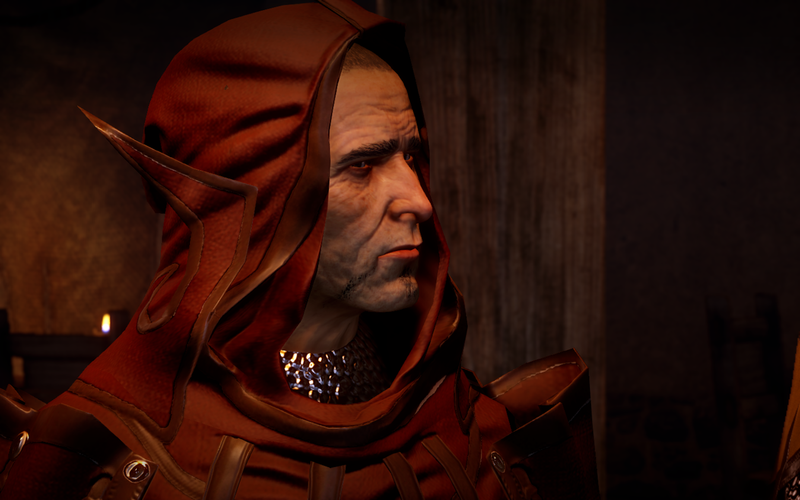 ▪ Qunari set out to meet Orlesian forces who agreed to return the Tome of Koslun to them. However, the book is intercepted by a Rivaini pirate, Isabela. ▪ Following a storm, both ships founder off the coast of Kirkwall. 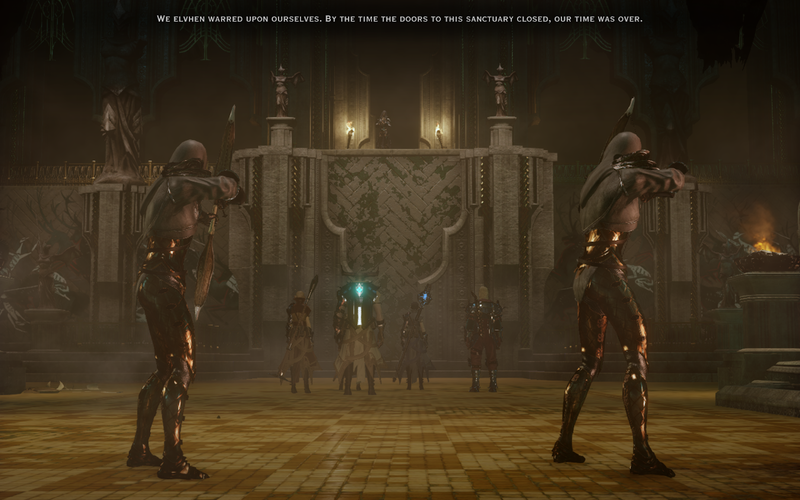 The Arishok and his surviving army take up residence in the Qunari Compound, a section of the docks set aside for them by the Viscount, until they can reclaim the Tome of Koslun. ▪ Anders joins with the spirit of Justice and massacres a contingent of Grey Wardens following his trail, including Rolan. ▪ Sebastian escapes the Kirkwall Chantry with the help of Grand Cleric Elthina, then reenters voluntarily by the front door to serve. ▪ Anders, Fenris, Isabela, Varric, Merrill and Sebastian may join Hawke for a series of adventures and jobs in Kirkwall. Merrill continues her efforts with the reconstruction of the eluvian. ▪ Entrance/physical appearance of Cole at The White Spire Mage Circle. ▪ If Isabela is not handed over to Qunari custody, the Arishok is defeated and killed by Hawke, who repels the Qunari invaders and is named "Champion of Kirkwall" by Kirkwall's Knight-Commander, Meredith Stannard. 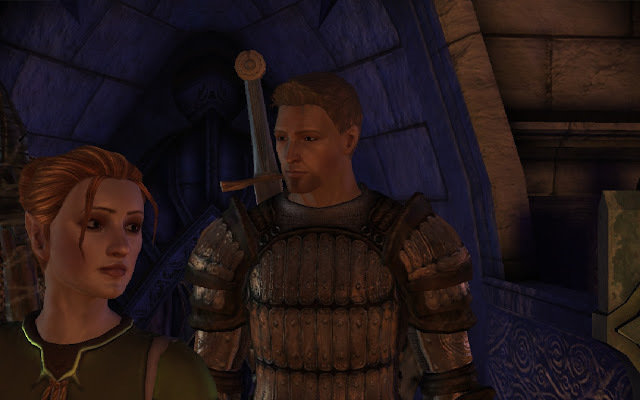 ▪ Meredith takes over the Viscount's seat and stewardship of Kirkwall. She imposes tighter sanctions on the Kirkwall Circle of Magi and increasing regulations across the city for martial law. ▪ Lord Vincent Callier and his family are ambushed by Thom Rainier's soldiers on their way to their summer residence at Lake Celestine. None of the lord's servants or family survive, including his four children, all of whom are under the age of 15. Rainier is later revealed to have been hired by Ser Robert Chapuis, an ally of Grand Duke Gaspard's, to carry out the assassination in exchange for, according to Leliana, "a great deal of coin." ▪ Shortly after, when it becomes clear he is under suspicion, Rainier flees, leaving his soldiers to face justice and execution alone. ▪ As Felix is making the trip back to Hossberg from the university for the winter holidays with his parents, their party is attacked by hurlocks. His mother Livia Arida is killed in the attack and Felix is infected with Blight sickness. ▪ Dorian moves into the estate to assist Alexius in seeking a cure for Felix. 9:36 Dragon - Warden-Constable Gordon Blackwall journeys to Montsimmard to confer with Fontaine. Thom Rainier helps to save a barmaid from harassment by a patron, an act witnessed by Blackwall, who recruits Thom Rainier to the Wardens. ▪ Shortly after, Blackwall is killed by darkspawn at an entrance to the Deep Roads by the Storm Coast while Rainier is diverted, killing a darkspawn for its blood for use in the Joining ritual. Thom Rainier adopts the persona of Blackwall in penance and tribute. 9:37 Dragon - Danarius arrives in Kirkwall, and is either killed by Hawke, or given custody of Fenris after his escape attempt. Potential death of Fenris's sister Varania. ▪ If Fenris is betrayed into custody by Hawke, Danarius later writes in a letter to Hawke that Fenris is his "usual compliant self" following his latest memory wipe. ▪ Meredith calls for the Right of Annulment and is opposed by Hawke and Orsino. 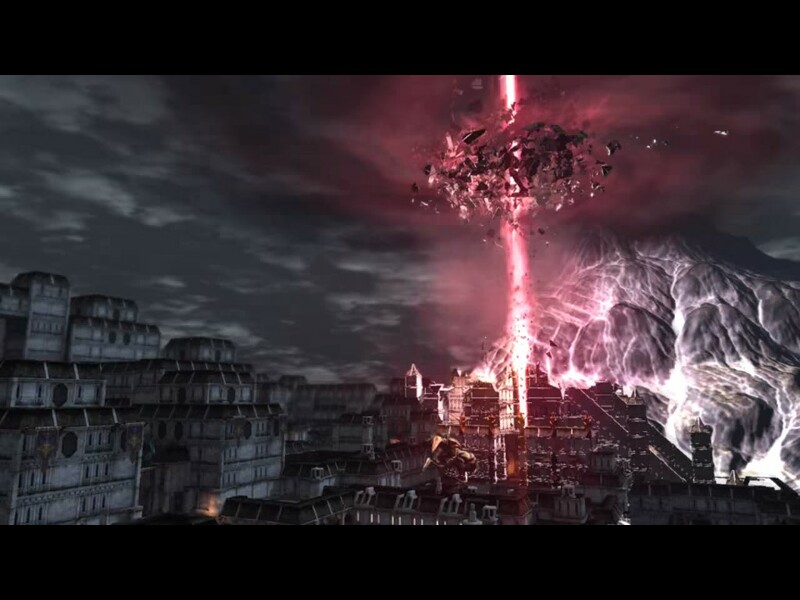 ▪ Anders destroys the Kirkwall Chantry, sparking the Kirkwall Rebellion. Merrill argues against his summary execution. Death of Elthina. Death of Orsino. Death of Meredith. (Possible) deaths of Anders, Carver/Bethany, Fenris, Merrill, and more. Samson leaves Kirkwall. Hawke flees Kirkwall. ▪ Dorian leaves the Alexius estate for three months, then returns to find Alexius and Felix gone. ▪ Dorian falls back into debauchery and, discovered in bed with another young man, is abducted by his father from the home of Lord Ulio Abrexius and brought back to Qarinus by ship. He is imprisoned on the Pavus estate for several months, then escapes. 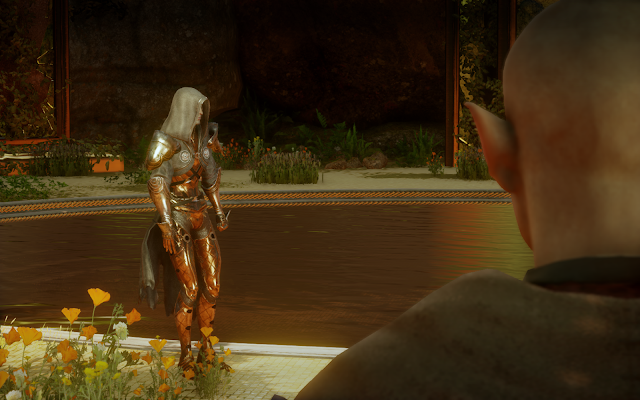 ▪ Death of Felassan in the Fade, at the hands of Solas, for refusing to complete his mission to gain access to the eluvians. ▪ Following the conflict at the White Spire, Lord Seeker Lambert van Reeves cancels the Nevarran Accord, severing ties between the Seekers and the Chantry. Allegiances between amongst the Seekers of Truth and Templars are split. Some still support the Divine. ▪ Samson joins Corypheus and becomes addicted to red lyrium. ▪ Surviving the explosion thanks to Justinia V, the Inquisitor is captured and interrogated, then accepted into the Inquisition. ▪ After it is discovered that the Mark/Anchor on the Inquisitor's hand can control the Breach and close the rifts, the survivor is hailed as the Herald of Andraste. ▪ The Inquisition, based out of Haven, is reborn, and seeks to seal the Breach and restore order to Thedas. ▪ Depending on choices, if mages are supported, capture, execution, punishment, conscription or imprisonment of Gereon Alexius. Dorian joins the Inquisition. If Templars are supported, Ser Barris may be killed, or he may join the Inquisition. Cole may also join the Inquisition here. ▪ The Inquisition learns that they are being manipulated and lays siege to their base at Adamant Fortress, putting an end to their machinations. Death of Warden-Commander Clarel. Capture of Erimond. ▪ After defeating the Nightmare demon that was controlling the Grey Warden mages, the Inquisitor decides to either ally with the surviving Grey Wardens or exile them from Orlais. ▪ Potential abandonment of Hawke, Alistair, Loghain or Stroud in the Fade. ▪ Alternatively, Hawke, if surviving the encounter, journeys to Weisshaupt, implying future reunion with (if surviving) Anders, Merrill, Isabela, or Fenris, if romanced. ▪ Potential execution or punishment of Erimond. ▪ The Inquisitor attends a ball held by Empress Celene I at her winter palace in Halamshiral after learning of an assassination plot against her. 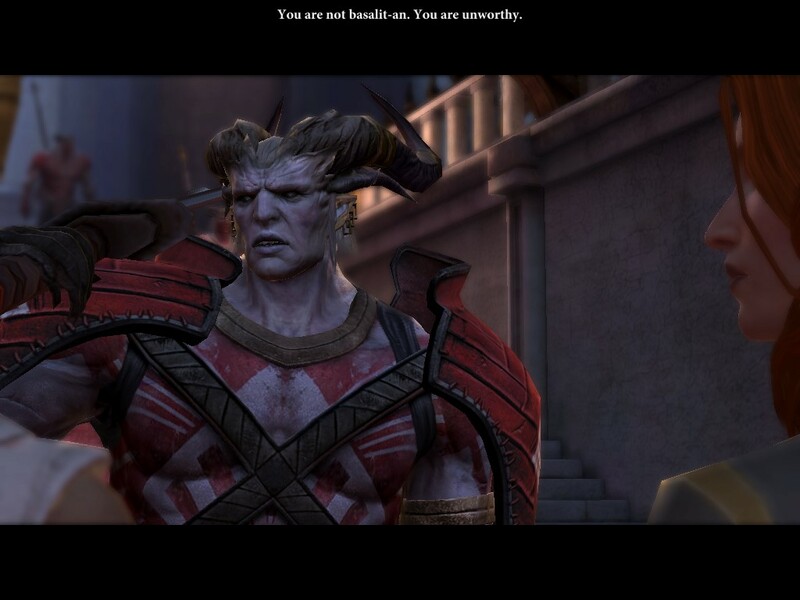 The Inquisitor's actions resolve the Orlesian Civil War and decide who holds the throne of Orlais. Potential death of Celene Valmont, Grand Duke Gaspard, or Florianne. While at the ball, an eluvian identical to Merrill's completed eluvian may be glimpsed in a nook just off Empress Celene's library (perhaps utilized by Briala while she had control of the eluvian network). ▪ ~(Estimated) In secret, at some point during the evening at Halamshiral, Solas uses his powers and one of the working eluvians at the Palace to take back control of the eluvian network from Briala. ▪ At Celene's request, Morrigan joins the Inquisition. 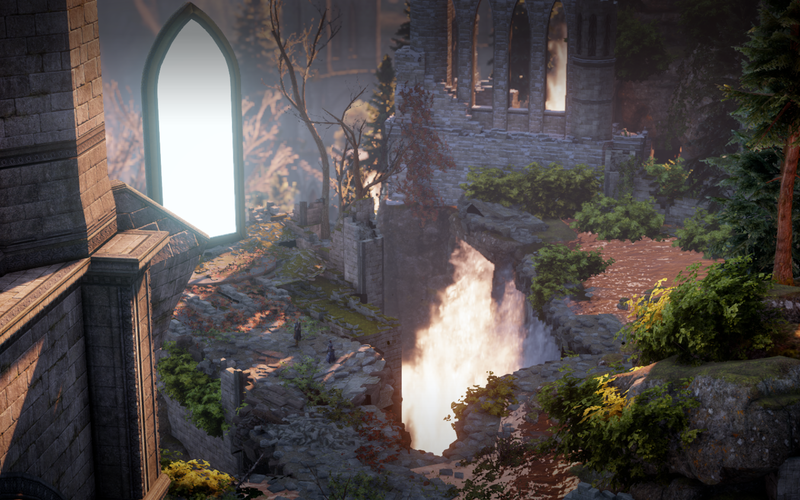 9:42 Dragon Age - The Inquisition pursues Corypheus to the Temple of Mythal in the Arbor Wilds, where he attempts to gain the knowledge to use the eluvian network and so reenter the Black City. The Inquisitor meets Abelas, an ancient Sentinel elf. Potential massacre of the Sentinel elves. The Inquisitor may or may not end up drinking from the Well of Sorrows, which immediately binds the drinker to the service of Mythal. 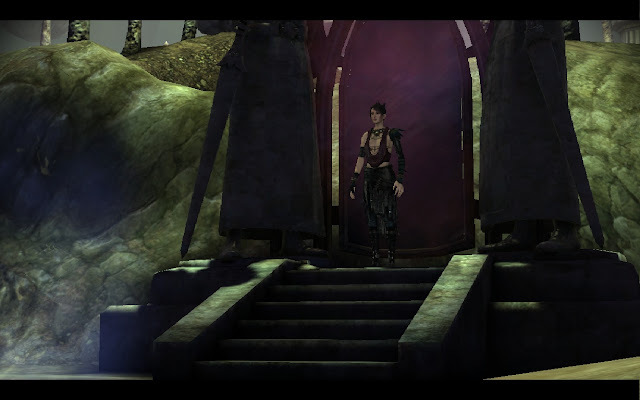 Alternatively, Morrigan may drink from the Well. ▪ Departure of Abelas from the Temple of Mythal (or potential death of Abelas at Morrigan's hands). ▪ Following a message from Professor Bram Kenric of the University of Orlais about new discoveries relating to the disappearance of the last Inquisitor, Ameridan, the Inquisition goes to the Frostback Basin to investigate. ▪ New alliances are forged with the Avvar people. Ameridan awakens for a few moments, then dies, and his body disappears. Hakkon arises in dragon form and is defeated. Judgment of Storvacker, who may become an agent of the Inquisition. ▪ The Inquisitor investigates mysterious earthquakes in the Deep Roads, accompanied by dwarf Shaper Valta and Renn, a Lieutenant of the Legion of the Dead. Death of Renn. Discovery of further links between lyrium, the dwarves, and the ancient elves. Discovery of the Sha-Brytol, the guardians of a mysterious area/presence that turns out to be a living Titan. ▪ Transformation of Valta, who attains magical powers. ▪ Solas draws the Inquisitor to him through the eluvian network. The Inquisitor and companions take down the Qunari forces led by the Viddasala. ▪ If the Chargers are dead or if he is still otherwise Qun-Loyal, death of The Iron Bull on the final run through the Darvaarad, when he follows the Viddasala's orders and attacks the Inquisitor and their party. Death of the Viddasala. ▪ Dorian Pavus returns home for the funeral of Halward Pavus and speaks briefly with his spirit through the use of a Tevinter necromantic ritual. New understandings are reached and some old wounds are healed before the spell ends and Halward returns to death. 9:44-46 Dragon - If he had chosen to become more spirit, Cole returns to the Fade, saying he will be needed in the future. 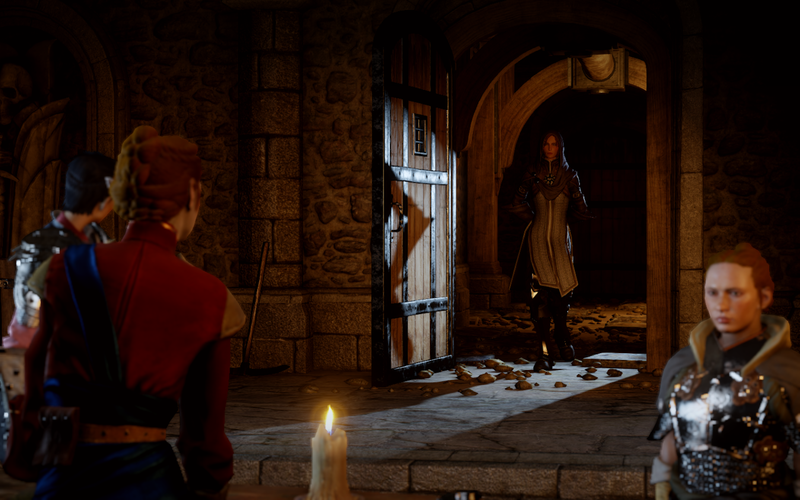 Krem and Maryden remain together and romanced. ▪ If chosen to be more human, Cole departs with Maryden to wander the world and make people happy through music. ▪ Bull and his Chargers (if surviving) return to peacekeeping and mercenary work across Orlais and Ferelden, while Bull also continues to fight demons and Venatori. If romanced, Bull will return periodically for trysts with the Inquisitor. 9:48 Dragon - ~(Estimated) Dorian Pavus, if in a relationship with The Iron Bull, meets him occasionally in a secret location on the border between Orlais and Tevinter. Bull later rescues him from a Venatori ambush in the nick of time. 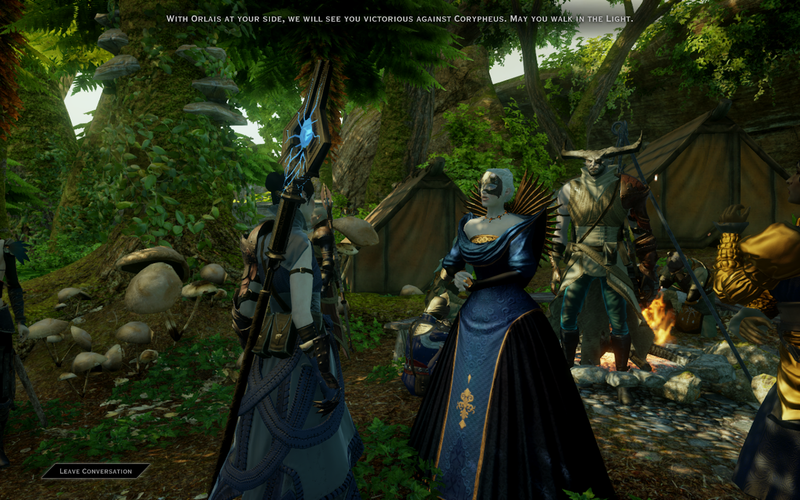 If in a relationship with the Inquisitor, meanwhile, Dorian continues to meet him on occasion in Minrathous, in secret.